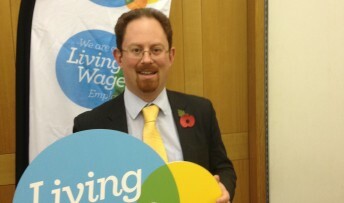 Unemployment continues to fall in Cambridge and the news has been welcomed by the city’s MP Julian Huppert. The number of people claiming Jobseekers’ Allowance dropped to 1,148 last month – 431 lower than in the same period last year and 54 lower than in November 2013. This means that only two per cent of the workforce aged 16 to 64 are out of work and Cambridge retains one of the lowest unemployment figures in the UK. Julian said: “This is such encouraging news. Month on month we have seen the unemployment figures falling as confidence slowly returns to the job market. We are fortunate to have a strong economy in Cambridge which has allowed us to fair better than most during the downturn. “But the job market is still tough and I have genuine sympathy for those families who are struggling with unemployment. I hope that job opportunities will continue to open up and those who are still seeking work will be fortunate.